Ahead of exhibiting at this year’s Betting on Sports event, Valentyn Kyrylenko, VP of Business Development at Betinvest discusses the importance of understanding local markets, the need for proactive responsibility and why AI is the next big tech trend for the sector. In a world dominated by social media, it is no wonder that the major platforms have formed close links with the gambling world. This fusion has sparked the phenomenon known as social casinos. As a new player, it can be rather intimidating to visit an online casino website and just jump right into the action. There are typically a large number of games to choose from, rules for that particular site, and then the specifics such as making that initial deposit, along with the fact that casinos often try to woo new players by offering deposit bonuses that can give you the upper hand. So, what exactly are player bonuses, how do they work, and what else should you know as a brand-new player? Let’s take a closer look. Playing online casino games can be an exciting and lucrative way to spend your time. Picking casino games with the best odds/probability can ensure that you will appreciate every minute of it. 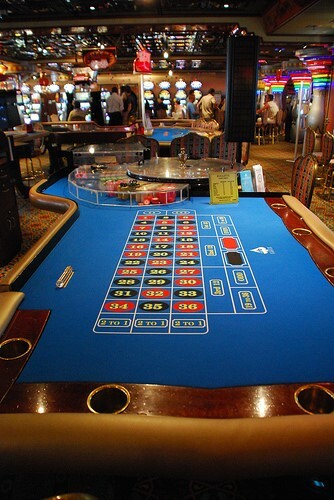 Opt for casino games with the worst odds/probability, and you can kiss goodbye your bankroll. How do I choose the best Australian online casino? This is the most challenging question among most novices and beginners in online casino gambling. If you are looking for legal real money online casinos accepting Australian punters, and where you can favorite games safely and securely, you are on the right page. This au-casino.com website guide covers all information you may want about online Australian Online Gambling. What comes in thought when you think about Spain? Sun, wine, bullfights…Besides all this fantastic stuff, Spain is recognized for its firm gambling laws that make casinos one of the most favorite pastimes among Spanish people. If you want to follow them and visit some Spanish casino sites, you'll need to learn more about online gambling and casino games in Spain. The near-universal adoption of smartphones and social media has fundamentally altered the science of complaints. Critics (“haters”) can now express their displeasure faster and more publicly than ever. Based on my research with Edison, we found two main hater types, “Onstage” haters, who publicly launch complaints via social media and online review sites, and “Offstage” haters, who conduct their complaints via more private channels such as email and phone.